You already knew that the Porsche 924 was the cheapest of Porsche's watercooled front-engine coupes from the transaxle era, but what you might not know yet is that it is the best. The best, you say? Yup. Better than the expensive to maintain and repair 928, and better than the boy-racer look at me 944 -- because if you just want simple driving pleasure without frequent visits to an exotic repair shop run by a guy named Hans who has a really nice home in the nice part of town and drives a new Lexus...well...the 924 and it's "Audi" engine is sounding pretty nice rightaboutnow. 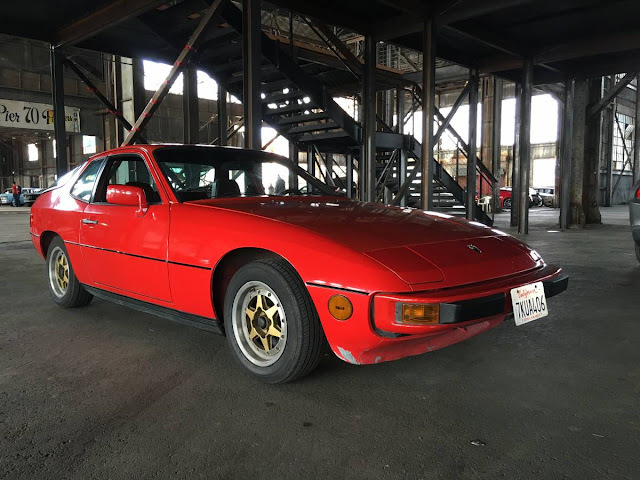 Find this 1980 Porsche 924 offered for $5,400 in Potrero Hill, CA via craigslist. Tip from Kaibeezy. 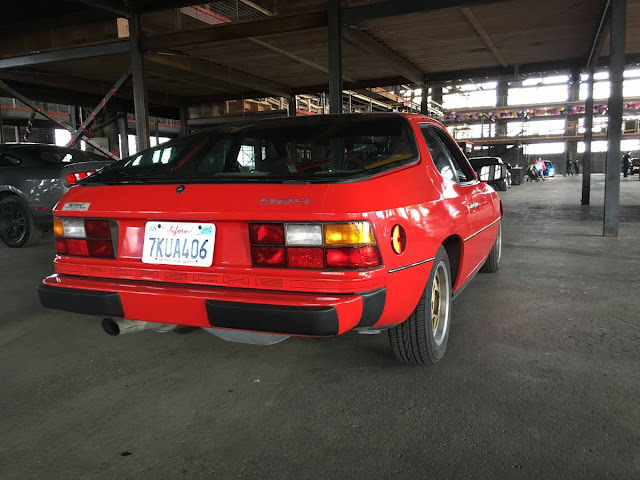 Oddly enough, if you get a barn-find survivor 924 like this one, you will probably get more attention than the guy with the 928GTS and its huge wind tunnel designed wing. Still a few 80s looking college campus stickers on the back and just enjoy the sounds of a simple 4-cylinder sports coupe. 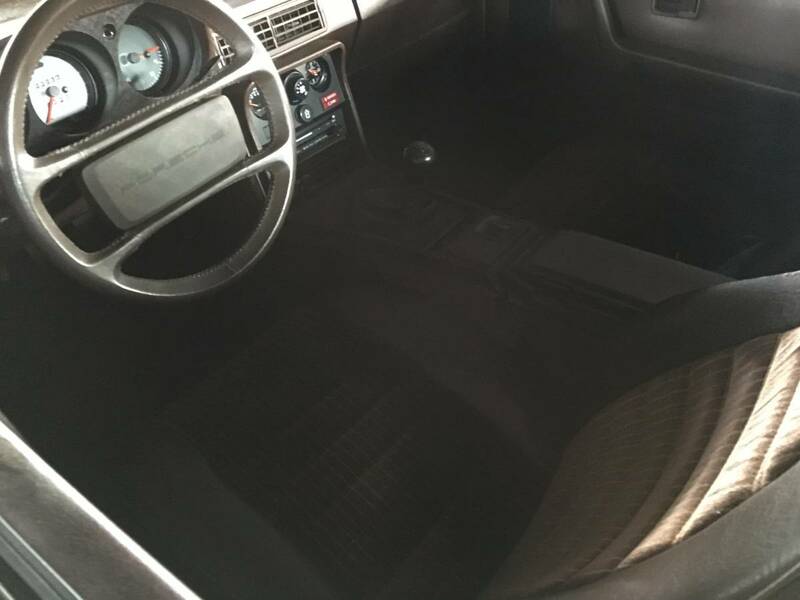 Unfortunately the seller doesn't include any underhood shots and the one interior picture is as dark nighttime on the south pole. The seller mentions of a few good/bad parts, but the only thing of concern is a fuel smell in the cabin that is NOT "because it's an old Porsche" but is something that should be checked out before this becomes a cajun 924. You may need to explain what a CRT is to the young people they don't know. Bless their hearts. We had one that we had received the over the air converter to change digital to analog but alas the CRT kicked the bucket and we pitched that whole thing. Should have kept the converter. Remember going with grandpa to get new tubes at the store for his old radio and tv. now the new tubes are all russian - is it a coincidence they still make this oldtech that is immune to EMP pulse? - nyet! I think the magnet trick was passed between kids but then forgotten when people reached adulthood. I remember doing the same thing but for cokes although I know what the wax bottles are. Russia needs to produce tubes so their destroyers, submarines and air defenses work lest another German like Matthew Rust swarm them with Cessna 172's and land in red square. We can't have that comrade! Nope, get the 924S. 924 looks with the 944 motor. note: successful applicant must enjoy diagnosing electrical gremlins on 29 year old German sportscars. and must love driving a 3-speed auto sports car.